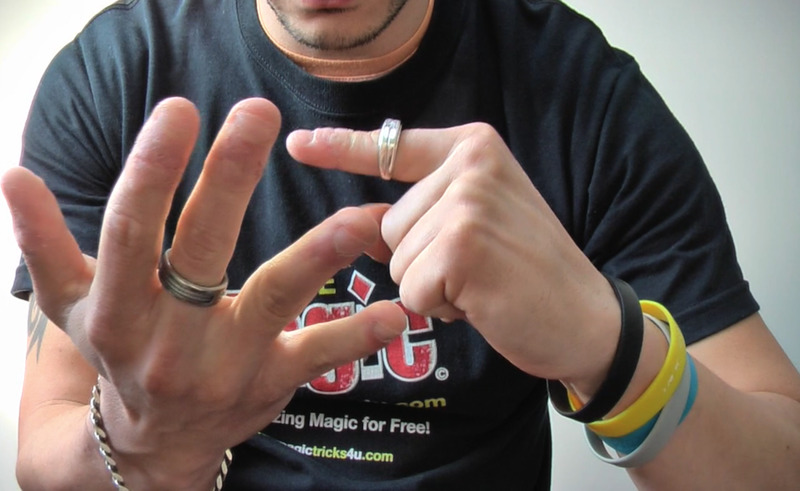 Ring tricks are some of the most effective illusions you can do as you borrow the ring from your audience, so there's no possible way it can be gimmicked. Let's learn how to do the impossible with a borrowed ring! 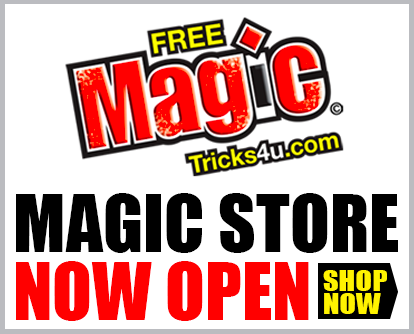 FMT4u Magic Store Now Open! LET'S LEARN MY TOP 4 RING TRICKS! Move the ring straight forward (away from your body) as you let your pinky bend naturally out of it. 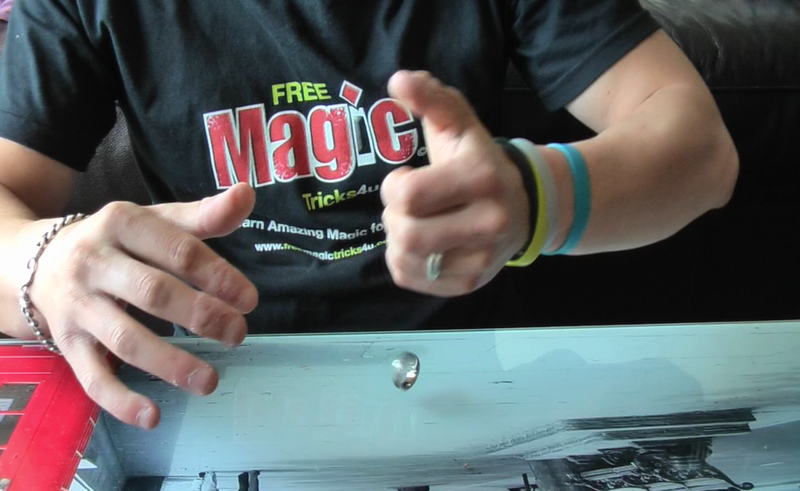 (Pic 3) This creates the illusion that the ring is melting right through your finger - of course you must do this action fast so that nobody notices the finger bend. Secretly swap and extend your middle finger and hide your index finger, while your free hand pretends to grab the ring. Do this move behind the cover of your free hand. (Pic 7) With your hand held at the proper angle, the middle finger will look like an index finger to your audience! Trick #3 is all about the angles. As you place the ring into your cupped hand…(Pic 9) Allow the ring to roll right down your fingers out the back of your hand, onto the table, along your arm and right into your lap! (Pic 10) This will take some practice to make sure the ring will be silent and roll all the way off the edge. A soft performing table is perfect for this or a noisy environment. Also be sure to keep your arm down on the table to conceal the rolling ring. My arm is raised in this example just to show where the ring will go! If done well, this motion will be too fast for people to notice and you can grip your hand naturally around the pen, which now also conceals the ring! 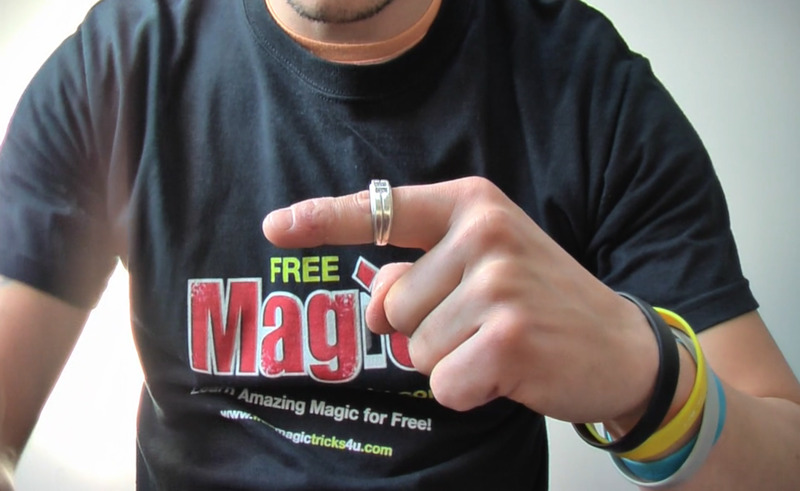 For one of my favorite ring tricks where you borrow a finger ring, vanish it - only for it to instantly appear on your Key Ring checkout Ring Flight in my magic store, it's a great trick!